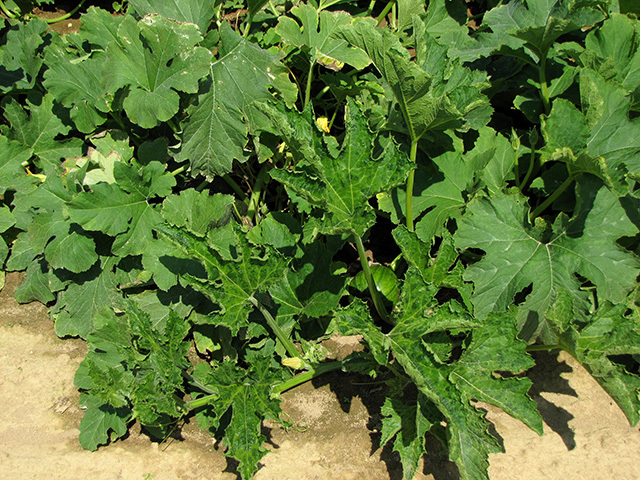 Several viruses can infect cucurbit crops. 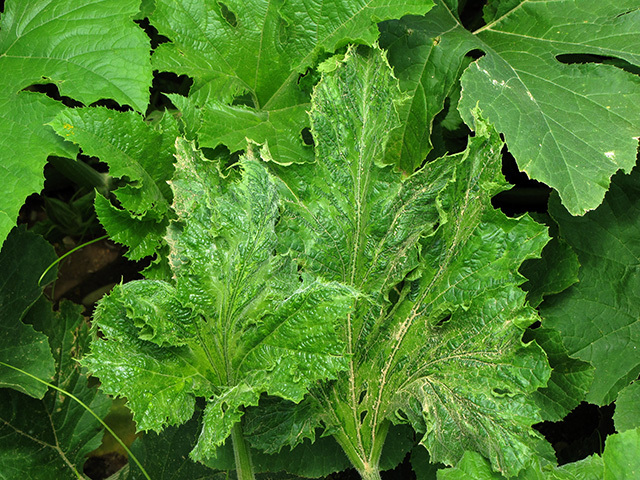 Affected leaves display a range of unusual symptoms including mosaic patterns in different shades of green and finger-like distortion of leaf shape. 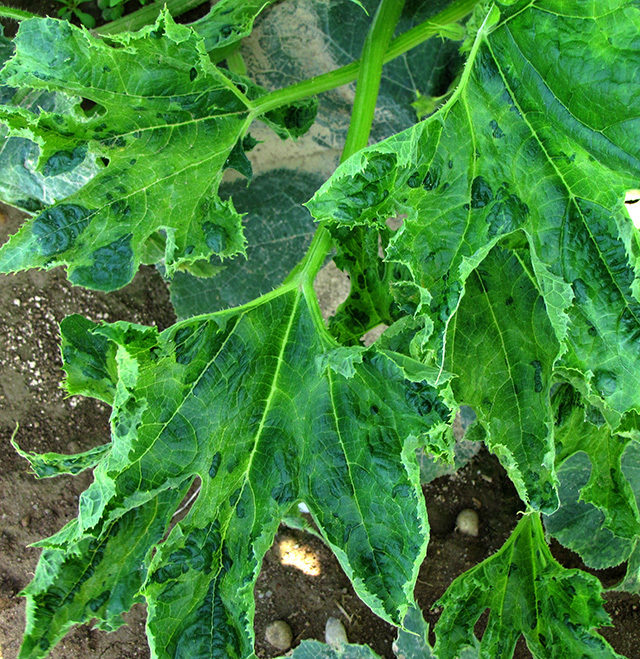 A vine of affected leaves may be surrounded by unaffected leaves. 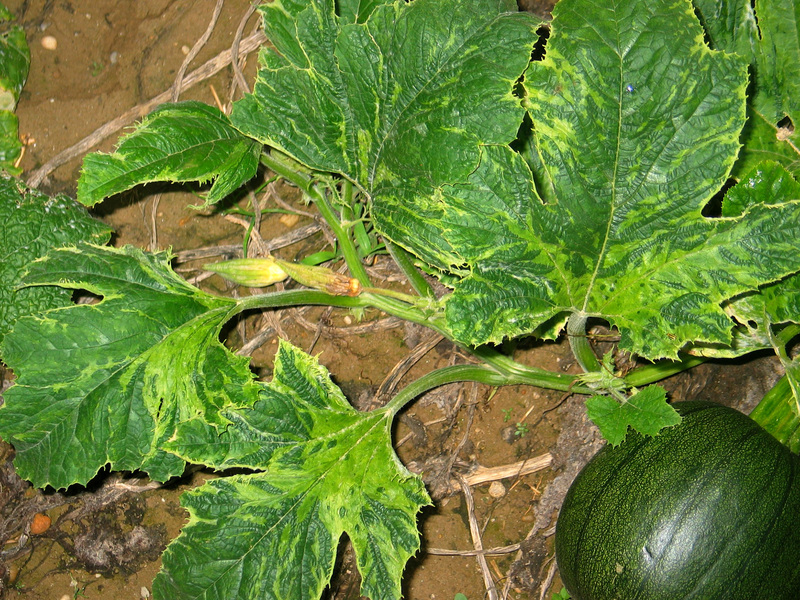 Symptoms have been commonly seen on Long Island mostly towards the end of the growing season and principally on pumpkin. 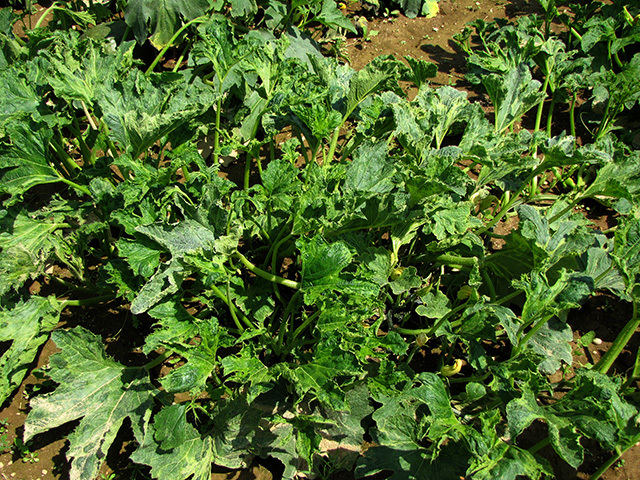 When development is late, yield is not impacted. Occasionally symptoms develop on fruit affecting quality. 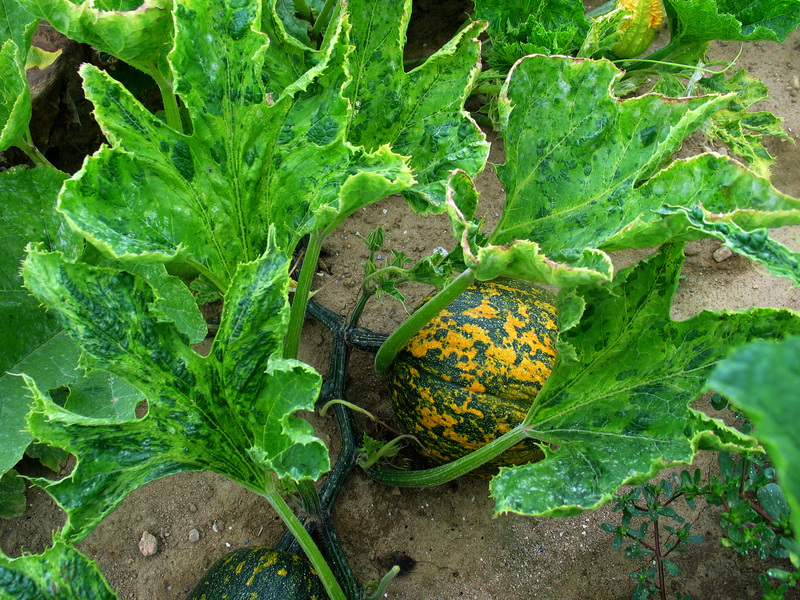 There have been cases elsewhere in the Northeast of substantial reduction in fruit formation when plants were affected before fruit development. See factsheet for information about virus diseases and management.